Ariana Grande was a guest in Ellen’s show and gave an emotional performance of her latest hit single, Thank U Next. Her new song that has references to her ex boyfriends was performed for The Ellen DeGeneres Show on Wednesday (Nov. 7). 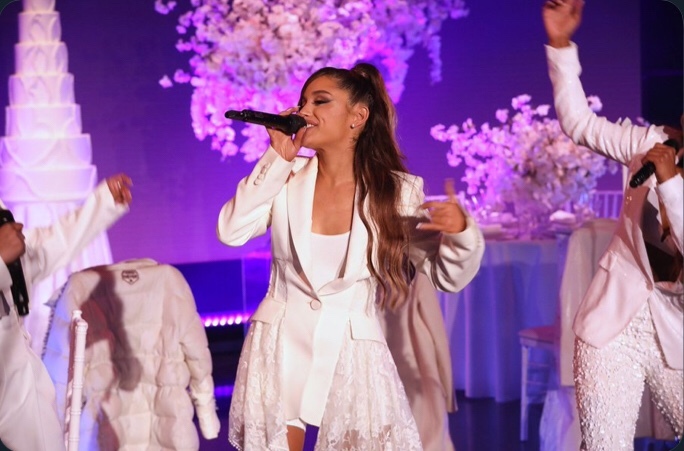 Grande was joined by friends and collaborators Victoria Monet and Tayla Parx, and the trio rocked stunning all-white outfits in their own reinterpretation of the iconic 1996 movie The First Wives Club. Performing old-school choreography, the trio swirled and spun around the stage with synchronized moves as Grande’s heavenly voice took over the room. Grande playfully got on top of a chair and almost slipped on her way down, voicing a cute, “Oh, my God!” Thankfully, Monet was quick to grab her before anything bad could happen.